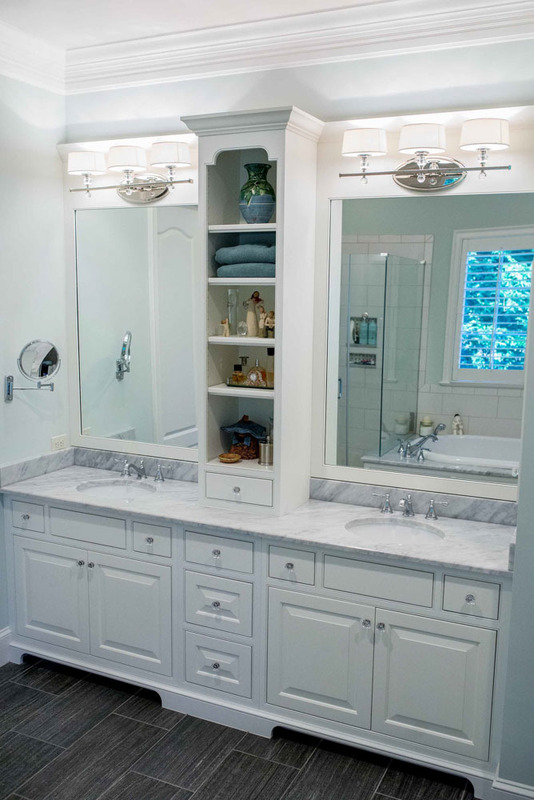 The center wall cabinet and the slight recess in the base cabinets create a subtle separation between these two generous vanity areas. 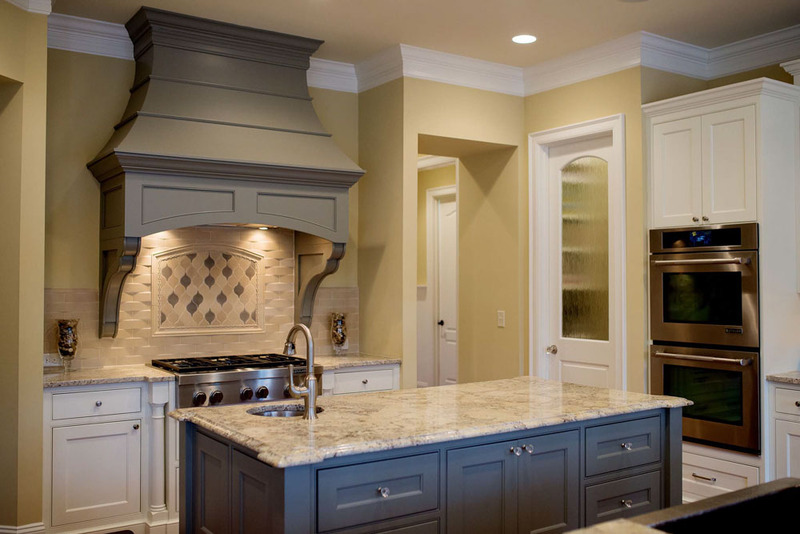 The colors in this tile backsplash tie the hood and island to the rest of the kitchen cabinets. 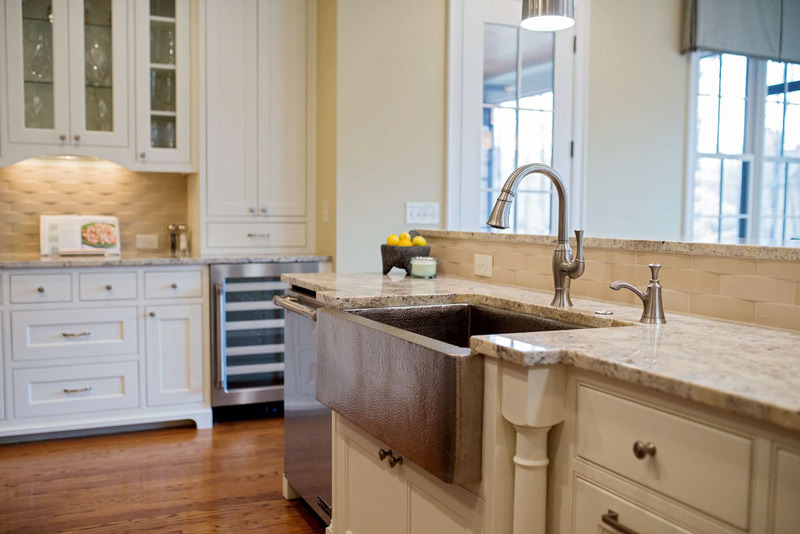 This hammered copper sink is a daily reminder that you select every detail in your home. 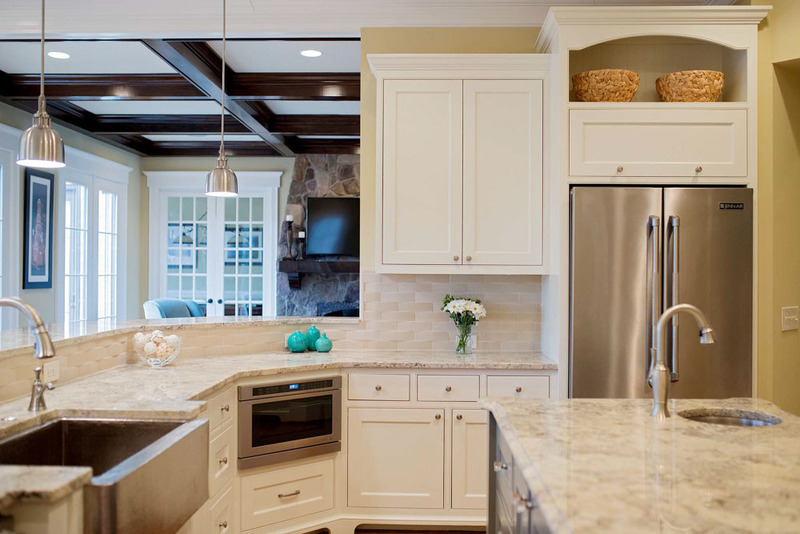 Painted doors and trim can blend with stained beams to help a light kitchen transition to a warm Great Room. 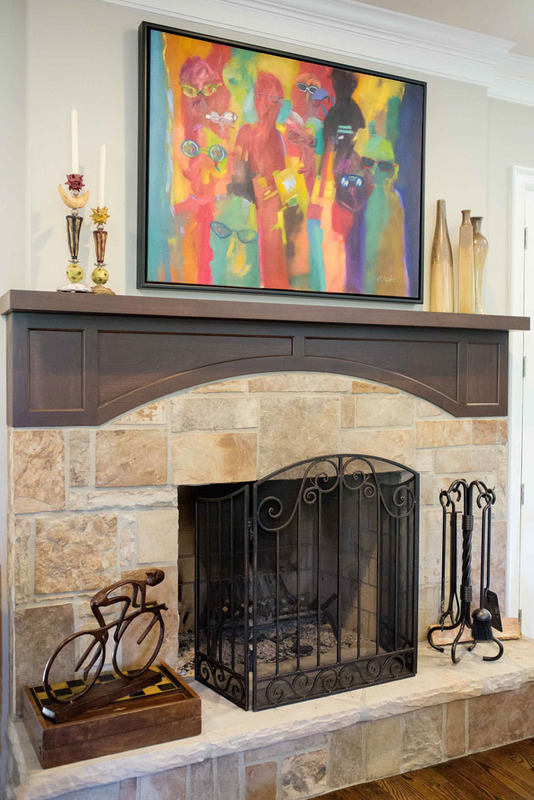 This modern interpretation of the classic natural stone and stained mantle work well with the Isokern fireplace. 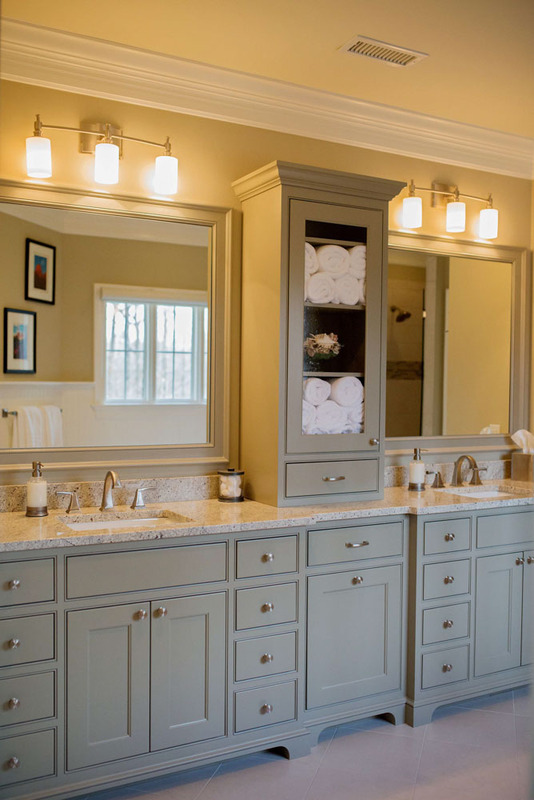 The mirrors and lighting are built in to the cabinetry here in order to stream line the look. 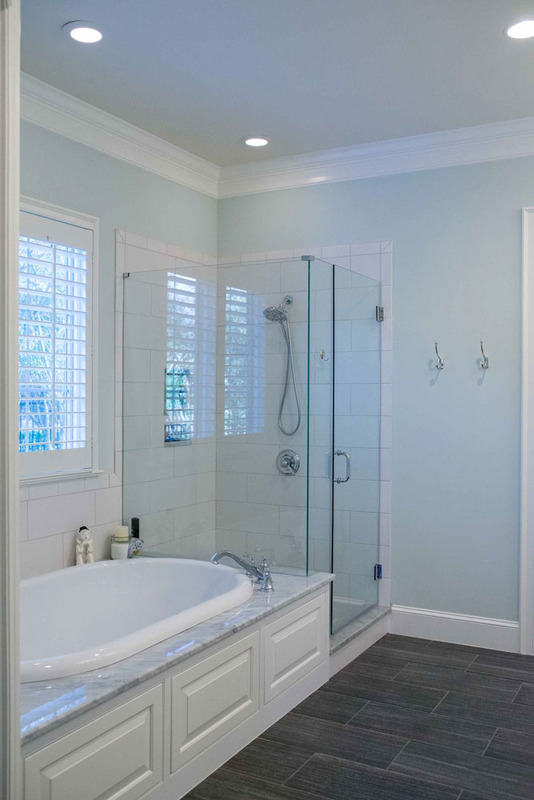 The cabinet panels around the tub are removable to access the whirlpool motor for servicing. 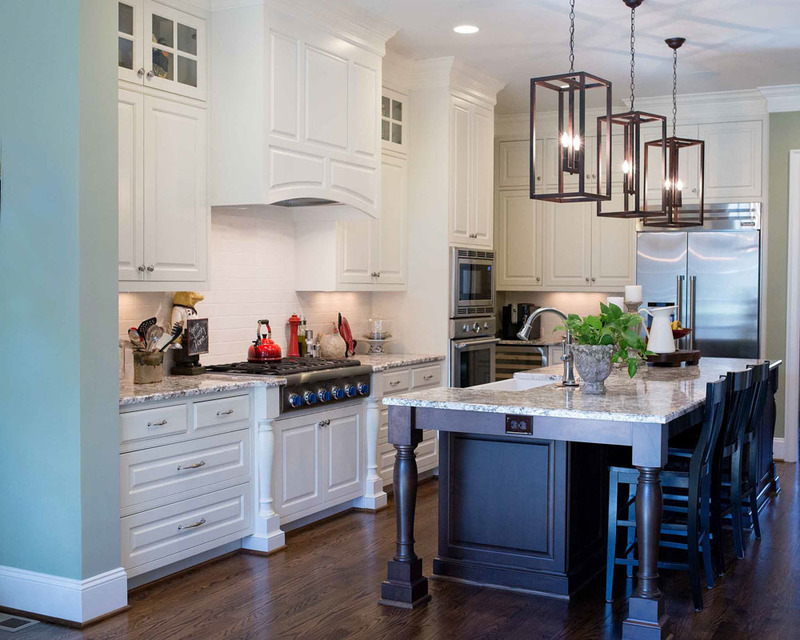 This open kitchen maximizes aesthetics and functionality with double cabinets to the ceiling and the latest in appliances, plumbing fixtures and lighting. 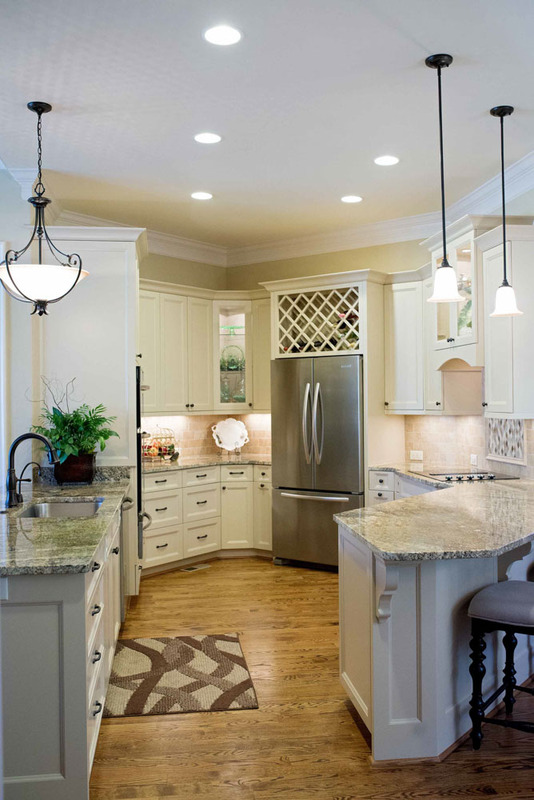 A variety of lighting (recessed, overhead, drop down pendants, slim line under counter, in cabinet and above cabinet puc lighting) gives this efficient empty nester kitchen no need for natural light.